EOA-xs Gain-Flattened Booster povides up to 21 dBm of output power in a compact (MSA) footprint and can be customized for different input powers. Standard models are available at 15 dBm, 20 dBm, and 21 dBm output powers. 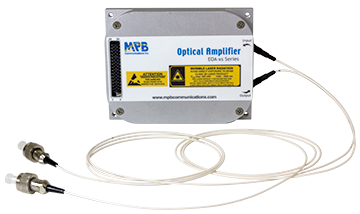 Optional: Flat gain at fix output power over up to 20 dB input power range.